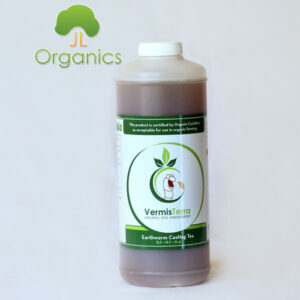 VermisTerra Earthworm Casting Tea is a liquid plant nutrient derived from earthworm castings. 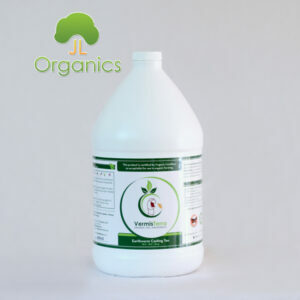 It is a great source of helpful microbes to enhance the health of the soil and the plants. Save $4.00 per gallon when you purchase this bundle! 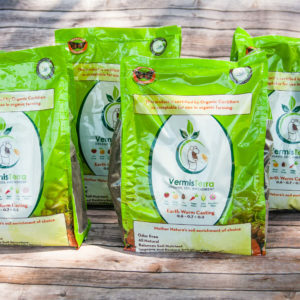 The VermisTerra Test Kit is a great introduction to our earthworm castings and earthworm casting tea. 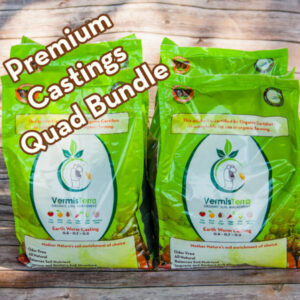 It includes 2 pounds of VermisTerra Premium Earthworm Castings and a quart of VermisTerra Earthworm Casting Tea. This combination of very fine grade Castings and Tea is fantastic for a wide variety of crops whether it is grown outdoor or indoor. 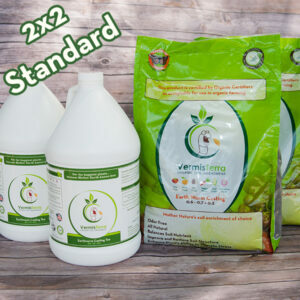 These two core VermisTerra products populate your soil or grow media with beneficial micro-biology to keep plants healthy. 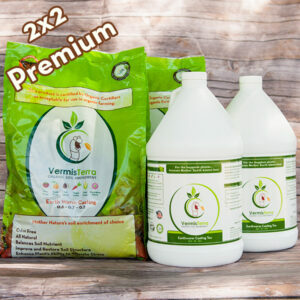 VermisTerra 2x2 is a valued bundle including the complete set of soil amendment available: earthworm castings and earthworm casting tea. Note: This item is not available to deliver to the states of Alaska or Hawaii. We apologize for the inconvenience. Our Premium Castings are super fine and free of wood, compost which means no termites, flies, odors. Originally formulated for commercial greenhouses, these castings are aged and purer than most competitors. 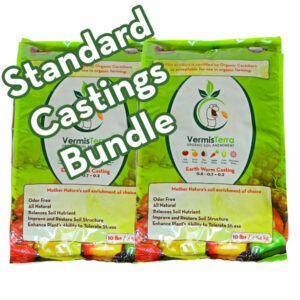 Our fine nano particles of worm castings are ideal for seed starting, house plants, and indoor growing. 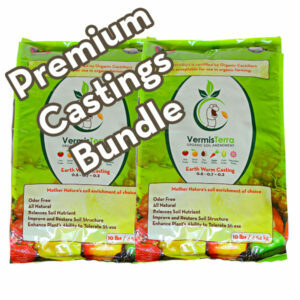 VermisTerra Earthworm Casting Tea available in bulk quantities. 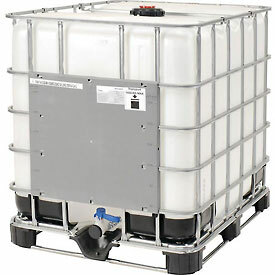 We ship by 275-gallon IBC totes or by tanker. Please contact us for more details.